When we’re inside a building, we generally feel safe from most of the dangers of the outside world. Unfortunately, we are much more vulnerable to harm than we realize. Motor vehicles crash into buildings at an alarming rate, often causing injury and death. People inside the building are particularly vulnerable when they are close to traffic and shielded mainly by glass. Examples of this would be storefront businesses, office suites, retail storefronts, convenience stores, restaurants, etc. In essence, if you’re on the ground floor of most commercial buildings, this danger applies to you. Such motor vehicle versus commercial building accidents are not only dangerous for the occupants of the vehicle and the building, but also any pedestrians in the area. If you have been injured or lost a loved one in one of these not-so-unlikely accidents, your life may never be the same - or at least for quite some time. That’s where Grant Law Office steps in. Our seasoned legal team will work to get you compensation for all your losses, including present and future medical bills, lost income, pain and suffering, permanent injury, and so much more. Your claim begins with a free consultation with one of our experienced Atlanta personal injury attorneys, so call Grant Law Office today at (866) 249-5513. That’s right. According to the Storefront Safety Council, a motor vehicle will crash into a commercial building more than 60 times a day in the United States. Such accidents result in over 4,000 injuries and as many as 500 deaths every year. You don’t feel so safe at your local 7-Eleven, now, do you? The vehicle’s designer and manufacturer, or the designer and manufacturer of a vehicle part, may also be responsible for the accident. Examples would include a faulty steering or braking system, tires with poor tread, and more. In some cases, the party responsible for designing an intersection, placing traffic signs and signals, or keeping the road clear of ice and snow - usually a branch of city or state government - may be found liable for the accident. Property or business owners may not be able to prevent motor vehicles from crashing into their premises, but they can take steps to keep their customers and nearby pedestrians safe. In fact, it is their legal responsibility to keep visitors on their property safe. 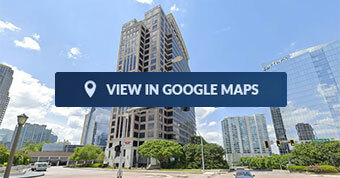 Property includes parking lots, sidewalks, and parking garages, as well as inside their buildings. This responsibility is known as a “duty of care.” A business owner or property owner who violates his or her duty of care can be held liable in a court of law. One way businesses and property owners can protect their customers is by installing bollards strategically around their property. You may not have heard of bollards, but you’ve seen them. 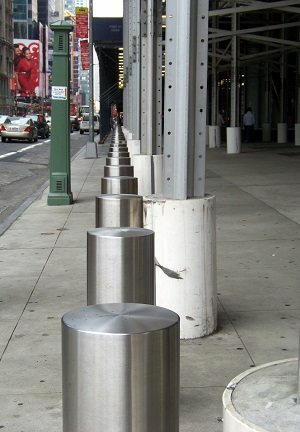 Bollards are those steel and concrete posts you see around gas pumps and the entryways to storefronts. Bollards are increasingly being used in commercial areas where there is heavy motor vehicle traffic. They are placed far enough apart to let pedestrians and shopping carts pass through them, but too close together for a car or truck to pass through. Bollards are relatively inexpensive and easy to install, but they can go a long way in preventing injuries and saving lives. 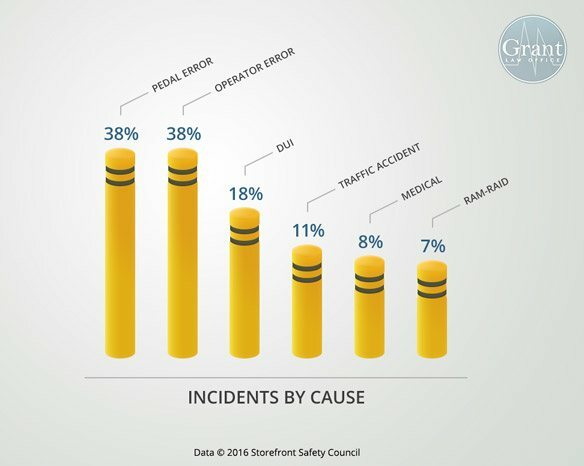 Were You Injured in a Georgia Storefront Accident? If you’ve lost a loved one or been injured in a preventable accident where a motor vehicle crashes into a building, you and your family deserve to be compensated for all the trauma you’ve suffered. But don’t expect the liable party to just hand you a check worthy of your losses - you’re going to have to fight for it. Businesses are protected by powerful insurance companies that employ armies of lawyers who are adept at diminishing or denying their client’s liability for accidents. The only way to fight them is by retaining an experienced legal team that has fought many battles on behalf of injured clients. Georgia’s Grant Law Office has been successfully representing injury victims for more than 30 years and will put that experience to work on your claim. It will cost you nothing, because we only collect our percentage if we win your claim. Don’t delay, call (866) 249-5513 or (404) 995-3955 today for a free case evaluation.